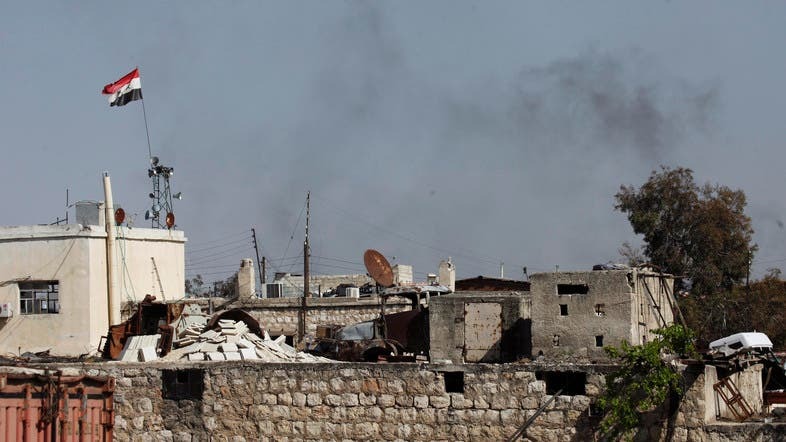 Smoke rises beside a Syrian regime flag in Ramouseh, an area located beside Aleppo Artillery school April 11, 2014. Syrian troops battled rebels around a military intelligence base in Aleppo in what a monitoring group said Saturday was the fiercest fighting in the northern metropolis since mid-2012. The Observatory said there had been casualties on both sides and civilians had fled the area. 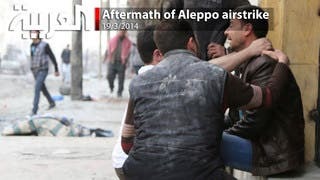 Government aircraft bombed rebel-held districts of the city throughout Friday and into Saturday, killing four rebels in the Rashidun district in the east of the city. Islamist rebels shelled several government-held neighborhoods, killing 10 people, five of them children, the Observatory said. 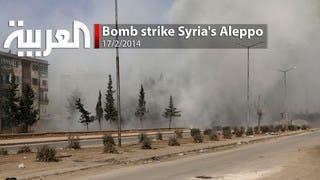 Rebels seized a big swathe of Aleppo in a major offensive in mid-2012 but the front line has since remained largely static.